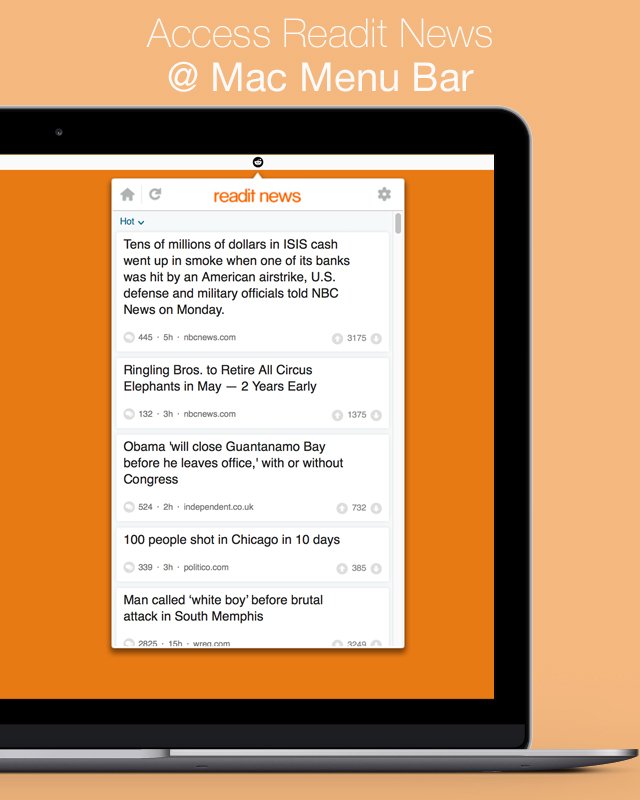 Now you can glance Reddit News at your finger tip. Just click an icon in mac menu bar and glance all important feeds in drop-down window. If any news interests you, just click on it and you can read in browser. 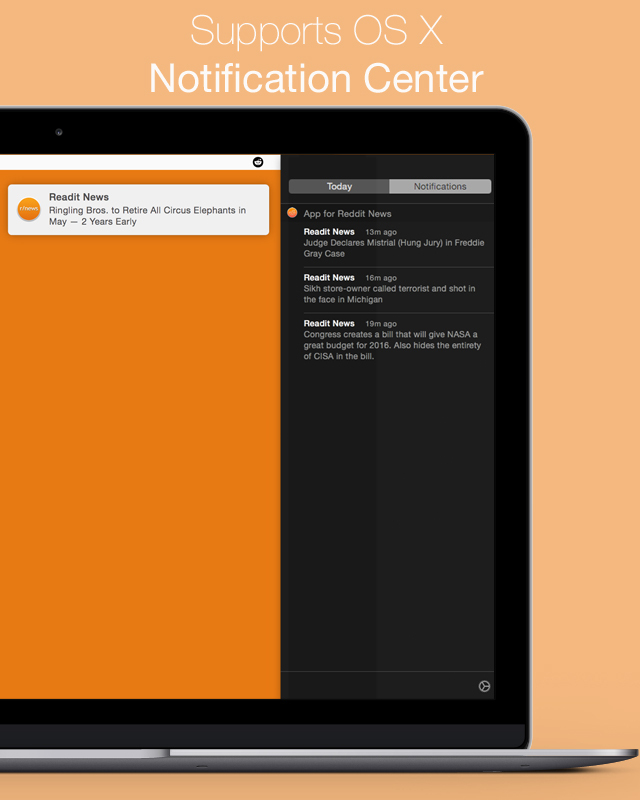 Get notification at intervals you set with favorite alert sound. Readit News supports dark theme from Yosemite.